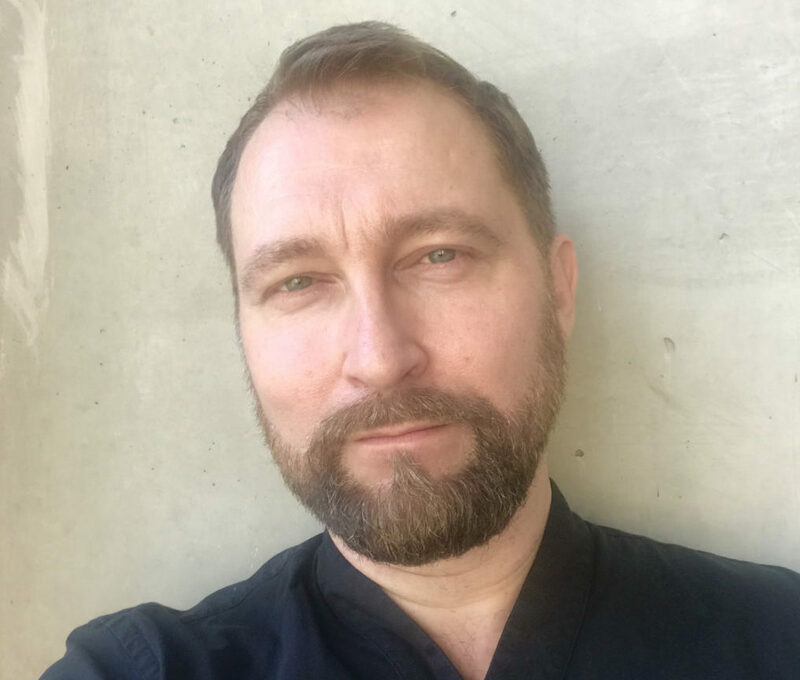 Doctor of Arts, director, writer Jaakko Nousiainen (*1969, Finland) is a creative professional with a multidisciplinary background in performance, opera and contemporary music theatre, as well as change management, audiovisual media and digital service design. Current position: Head of Arts and Culture at the Finnish Institute in London. Director. Experimental music theatre performance, Annika Fuhrmann (soprano) and Elena Kagaliagou (french horn). Höyhentämö, Helsinki, 2014. Madame Herz und Herr M.
Director. 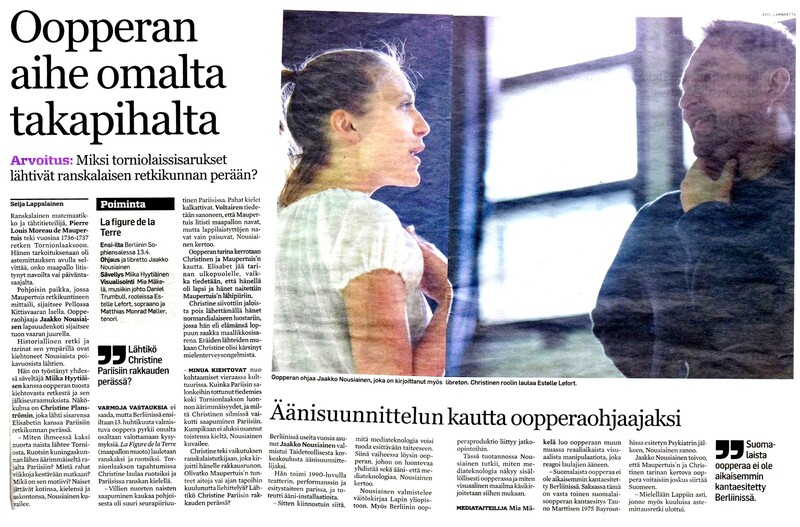 Chamber operas Kaappi (The Closet) and Rakkaimpani (My Dearest), composed by Seppo Pohjola. Turku Music Festival and Helsinki Festival, 2007. Performace with Riikka Theresa Innanen, Giorgio Convertito and Maria Duncker. Kunsthalle, Helsinki, 2005. CD (HRCD 112), co-creator with Juha Valkeapää under the group name 'kesken', 2000. Sound installation to a physical installation by Annaleena Hakatie. Venezia Aperto Vetro, Venice, 1998; Diesel Style Lab Store, London, 2000. Sound installation. Retretti Arts Center grotto, Punkaharju, 1998. Sound installation & CD. Iittala Pro Arte glass collection exhibition, Design Forum Finland, Helsinki 1997. Co-writer and director of a radio play, with Juha Valkeapää under the group name 'kesken'. Finnish Radio Theatre, 1996. Vocal artist and actor in a dance performance choreographed by Ismo-Pekka Heikinheimo. Ateneum Art Museum, Helsinki, 1996. Sound installation, co-creator with Juha Valkeapää under the group name 'kesken'. Galleri Metallum, Stockholm, 1996. Sound theatre performance, co-creator with Juha Valkeapää under the group name 'kesken'. Tampere International Theatre Festival, 1995 and 1996. Sound works presented in a concert arranged by Sonic Arts Network, co-creator with Juha Valkeapää under the group name 'kesken'. South Bank Center, London, 1995. Performance at the Nordic Sound Art And Video Art Festival, co-creator with Juha Valkeapää under the group name 'kesken'. Oslo, 1995. Sound installation, co-creator with Juha Valkeapää under the group name 'kesken'. The Museum of Applied Arts, Helsinki, 1994. Sound installation, co-creator with Juha Valkeapää under the group name 'kesken'. In six city libraries, Helsinki, 1994. Sound installation, co-creator with Juha Valkeapää under the group name 'kesken'. Art Museum, Hyvinkää, 1994. Sound work, co-creator with Juha Valkeapää under the group name 'kesken'. International Computer Music Conference, Aarhus, 1994. Series of sound improvisation performances, co-creator with Juha Valkeapää under the group name 'kesken'. Annantalo arts center, Helsinki, 1993. Uusmedia ja mediataide – silminnäkijälausuntoja altistumisalueelta. In: Tarkka, Minna & Mäkelä, Tapio (eds. ): Uusi mediakulttuuri innovaatioympäristönä. Kotimainen ja kansainvälinen tutkimus. Mediakulttuuriyhdistys m-cult ry. Helsinki, Edita, 2002. YLE, Finnish Broadcasting Company. Head of new media development, cultural and factual programmes, 2006-2007; Project manager, new media, 2006; Programme developer for TV, radio and new media, 2005, Helsinki. Please. Partner, Content director, Helsinki, 2003-2004. Taivas Ego. Content manager, Helsinki, 2001-2002. Reach U. Information designer, Espoo, 2001. Razorfish. Information designer, Helsinki, 2000-2001. University of Lapland, Faculty of Art and Design. Visiting lecturer, 2013. Turku University of Applied Sciences, Department of Digital Arts. Course teacher, user interface design, 2002-2003, 2005-2008. Finnish Academy of Fine Arts, Department of Time and Space. Part time teacher, digital media, 1998-1999. Doctor of Arts, University of Lapland, Faculty of Art and Design, 2015. MA in film. University of Art and Design, Department of Film and Television, Helsinki, 1996. Doctoral studies: Member of ELOMEDIA Doctoral Programme of Audiovisual Media, 2010-2013; Researcher at the University of Lapland, Faculty of Art and Design, Audiovisual Media Culture, 2010-2013; Visiting research student at the Hong Kong City University School of Creative Media, 2013. Directors’ Lab. Lincoln Center Theatre, New York, 2008. Opera directing. Sibelius Academy Open University, Helsinki, 2007-2008. Screenwriting. Kemi-Tornio University of Applied Sciences, 2005-2006. MA course studies. University of Art and Design, Media Lab, Helsinki, 1996-1999. Vocal improvisation. Masterclass by Marie Selander, Sibelius Academy, Helsinki, 1995. Butoh. Workshop with Masaki Iwana, Theatre Academy, Helsinki, 1994. Union of Theatre Directors and Dramaturges Finland. MUU Artist Association. Member of Artists’ Associations of Finland. Cité International des Arts. Paris, 2011, 2014. Oaxaca artist residency. Oaxaca, 2008. Universitat Pompeu Fabra. Barcelona, 1997-1998. Finnish (native); English, Swedish (fluent); German (good); French, Italian, Japanese; Spanish (basic).